Love is the antidote that can profoundly make our world a much better place to live in. There is nothing more inspiring than two people who love each other unconditionally against all odds. In our fast paced, high-tech world, Love has become a commodity. Every desire can be bartered for or purchased in a nanosecond. Online dating services are some of the fastest growing businesses to date. The boom of this industry has eliminated the notion that love and marriage are a sacred entity that is pre-ordained by God. It has given people the false sense of security that we possess the ability to determine who our “soul-mates” will be. If this were fact then the statistics would not reflect the alarmingly high rates of divorce in this country. Book of Ruth:Journey of Faith is a new movie that tells the providential love story of Ruth and Boaz. Book of Ruth: Journey of Faith is an adaptation of the book of Ruth in the Old Testament of the Bible. The Old Testament account has all the elements of a stellar romantic film. It must have been an easy decision for the writers Salvatore DiSalvatore Richard Raucci to bring the story to life on the silver screen in 2009. Although the story takes place thousands of years ago, it is easy for a modern audience to empathize and relate to because of the economic hardships that many people face. Ruth and Naomi were living in the midst of famine and poverty. The situation became gravely worse when their husbands dropped dead unexpectedly. Instead of embracing insanity, the women chose to believe in a power greater than themselves. When all the heavy chips came falling down Naomi held strong to her convictions that her Creator would never forsake her. According to the Old Testament, Naomi had a serious case of depression however through her faith she found the strength to triumph. D.J Perry is an accomplished actor who has a list of films a mile long in his repertoire including “Judges” and “An Ordinary Killer“. 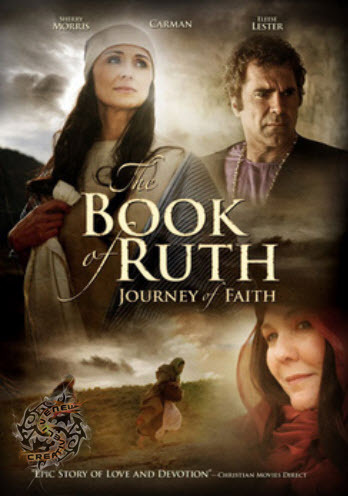 Perry starred in and produced Book of Ruth: Journey of Faith. Perry spoke with Nightly Candy with Nana-Adwoa in order to give our readers some insight into the film. DJ Perry plays Benjamin in "The Book of Ruth"
Perry shared that “Book of Ruth: Journey of Faith” was a film that everyone (religious or not) could appreciate. If you are believer that LOVE conquers all and LIGHT will always triumph over darkness then The Book of Ruth: Journey of Faith is a MUST SEE. It will make its television début on TBN on Valentine’s Day 2/14 @ 10pm. Ruth and Boaz are examples of true love and devotion. 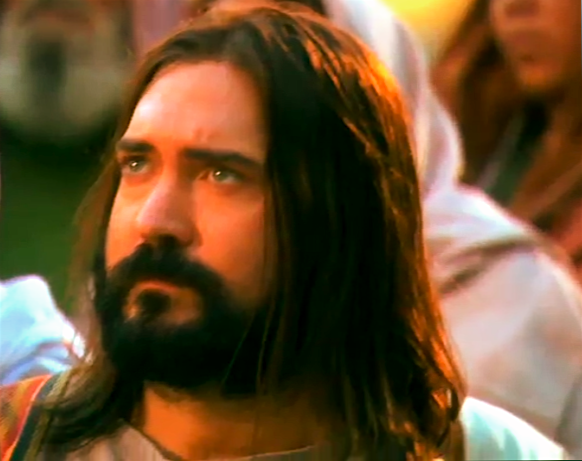 Christian music sensation and Pastor, CARMEN plays BOAZ. Ruth is played by Sherry Morris. This was her fist major role. The Book of Ruth: Journey of Faith is available for purchase on Amazon.Com. ← Betty White is the BOMB! Thanks for the comment. I hope you check out the movie. If you can’t for some reason you can buy it @ Amazon or I just discovered that someone downloaded it on Youtube. If you are patient and don’t mind watching it in 8 minutes increments then it’s perfect. Feel free to stop by Nightly Candy any time.